Have you ever made cookies out of cake mix?? Yes, I realize this is super lazy, but hey, I'm a mom of 3 now so convenient and easy need to be in pretty much anything I do. I made up this cookie recipe all on my own (I know, shocker!) and they are so delicious, if I do say so myself. 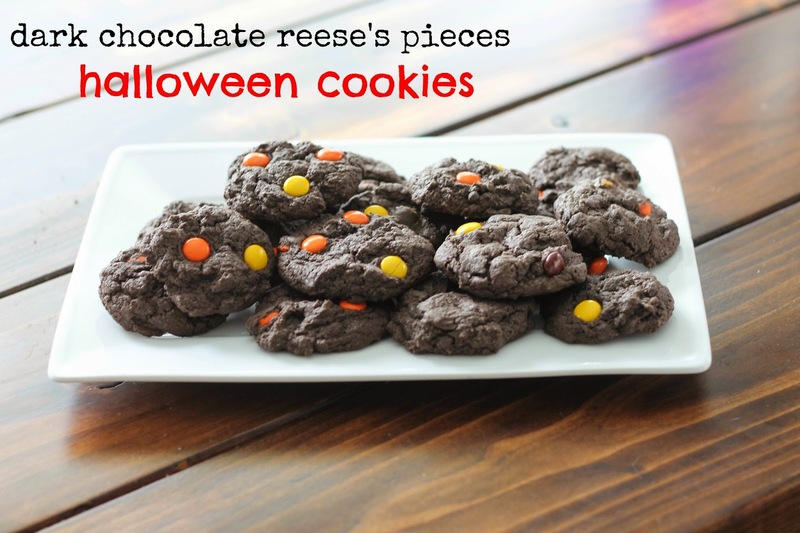 If you're looking for an easy, fun Halloween cookie to make with your kiddos or bring to a party, these are it! Preheat oven to 350 degrees. 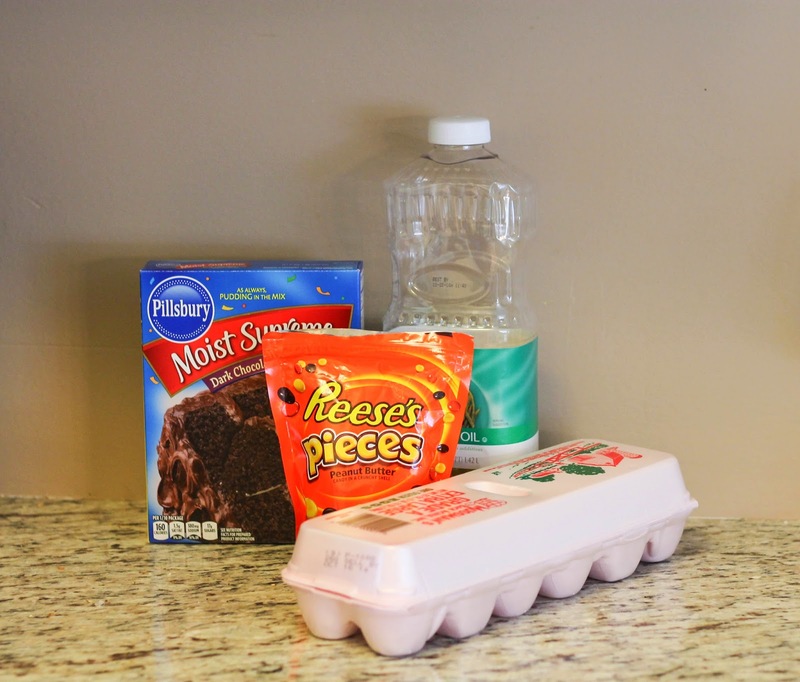 Mix all of the above ingredients together and place 1" balls on cookie sheet about an inch apart. I also added more reeses pieces on top of the cookies before baking them. Bake for 11-12 minutes.